$115-$135/night double occupancy; extra persons $15-20/night each. Seasonal rates, weekly and family discounts. Single night surcharge. 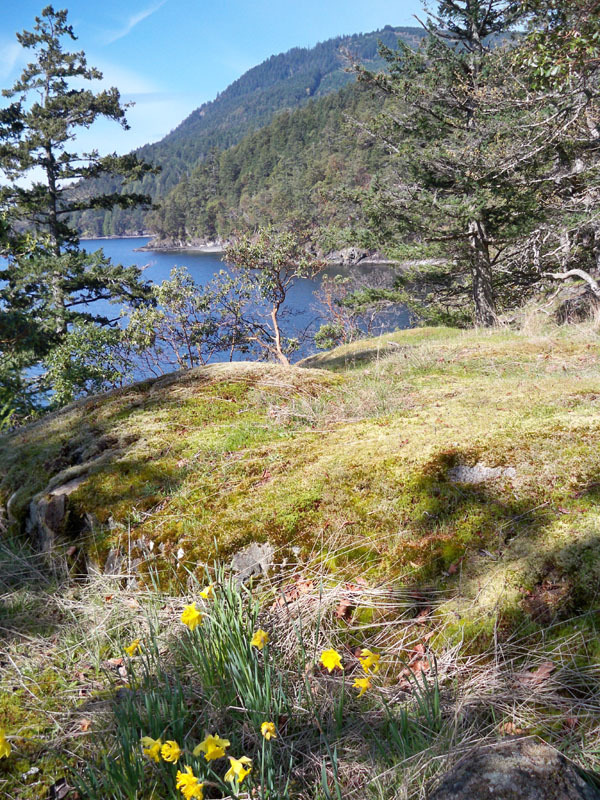 In one of the most beautiful and private settings on Salt Spring Island (Gulf Islands), British Columbia - fully self-contained accommodation located on Satellite Channel in the south end of the island, steps from the Ecological Reserve. 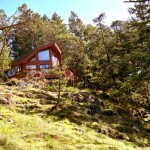 Very special glass and cedar cottage in a spectacular ocean and forest setting. 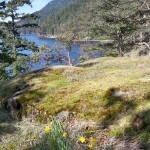 Nestled among fir, arbutus, and garry oak on 7 sunny southwest-facing acres, accessible oceanfront. The cottage is fully equipped including all linens, with a full bath, a bedroom with queen-size bed, a loft with twin beds, a pull-out couch, a sun-room, wrap-around deck, and a magnificent view of the ocean and forest. Open year-round, sleeps 6. Visit our own website daffodilcovecottage.com for more information and up-to-date vacancy calendars. We are a pet-free, no smoking accommodation.